Pedigree DentaStix Fresh Treats are a great tasting snack for medium sized adult dogs. DentaStix are a chewy textured treat designed to promote good oral health (alongside regular brushing) and help freshen the breath. These dog treats are made in a patented X-shape, stick-like design with a green color which delivers daily oral care efficacy in a tasty convenient treat. The unique texture is clinically proven to reduce plaque and tartar build-up. Clinical tests saw a reduction of up to 80% in tartar build-up with an average of over 47% reduction. 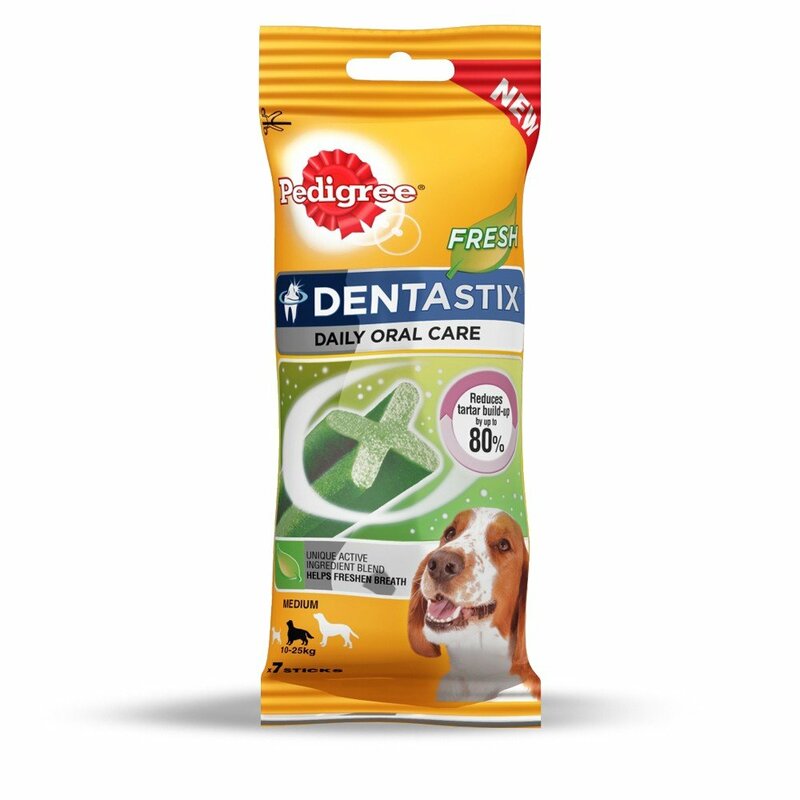 Pedigree DentaStix Fresh are the perfect tasty treat with the added benefit of improving your dogs oral health.